Since the beginning of the year Lauren has performed live across the UK building an ever growing fanbase. The young American was personally invited by Paul Weller to join him on stage during his recent In Concert Radio 2 session after he had heard her debut ep The Jackson Sessions. Their duet, on the Holland Dozier Holland classic “How Sweet It Is To Be Loved By You”, will be the B-side of Weller’s new single “Find The Torch/Burn The Plans” out June 14th. Audiences will have plenty of opportunities to see Lauren performing live over the summer including festival appearances at Glastonbury and Latitude and a show with Professor Green at the Proud Gallery’s 2nd Birthday for MENCAP on June 23rd. The Professor Green date came about after the two recently met at a rehearsal studio in London, immediately hit it off and wrote and recorded a song together. Lauren Pritchard was born and raised in Jackson, Tennessee, archetypal deep south small town USA. She’d always sung and played piano from an early age and when she reached her teens felt the need to move away from her comfortable family surroundings and forge a life in music. At the age of 16, she headed, alone, to LA where she sang in a band, fell in love, broke up, ran out of money and was on her way back to Jackson, dream in tatters, when one of her close friends, insisted she move in with them. The friend was Riley Keogh whose mum is Lisa Marie Presley. Newly invigorated, Lauren lived with them for 8 months during which time she landed a starring role in the highly acclaimed, hard-hitting contemporary musical ‘Spring Awakening’. The show hit the big-time and soon Lauren was re-locating to New York where she performed on Broadway for two years. With the phenomenal success of “Spring Awakening” and word spreading through New York music business circles about the girl with the incredible voice, Lauren landed a record deal. That partnership didn’t work out so well and they soon went their separate ways. However as Lauren was finding out, as one door closes another opens. A meeting with Ivor Novello-winning songwriter Eg White, who had heard and been blown away by Lauren’s demos, lead to her decision to once again up sticks and move, alone again, to her third big city, London. Her collaborations with Eg were soon producing a batch of incredible songs and Island Records, aware that they has found a serious talent, wasted no time in securing Lauren’s signature. Work on the debut album started in earnest and just a year after arriving in England, to make the record she had long dreamed of making, “Wasted In Jackson” was finished. Half Rwandan and half Belgium Stromae produced European Billboard no.1 hit ‘Alors On Danse’ on his computer at home with a desktop mic. Even more remarkable, he created his buzz when filming homemade ‘lessons in how to make a hit’ for his Youtube channel, starting in January 2009 (‘Les Leçon De Stromae’ or ‘Stromae’s Lessons’). Lesson no. 8 ‘Alors On Dance’ became a viral sensation and then a real hit on Europe’s radio airwaves, getting to no.1 across the continent and running up 7 million Youtube plays. It started when the internet excitement from his music production Youtube shows caught the attention of DJ Julie on the dance specialist NRJ Mash Up Show of France’s biggest radio station in June 2009. Getting rave reactions on the specialist show it was moved to playlist rotation proper and from there it shot to no.1 in both France and Germany. French language blog Fluo Kids described ‘Alors on Danse’ as like ‘Calabria X tranxene’. ‘Calabria’ referring to Alex Gaudino’s 2007 dance hit and tranxene referring to the anti-depressant pills proscribed for anxiety. Stromae (born Paul Van Haver) fits his smart stream of consciousness lyrics into dance music. He has re-imagined the sound of his native Belgium’s late 80’s New Beat. Groups like Snap! And Technotronic produced worldwide hit records by retooling Chicago house with European je ne sais quoi. Stromae’s has had the first #1 single in Germany in the French language since 1988. With English speaking clubs and blogs worldwide already heating up for ‘Alors On Danse’ this product of global list of influences could end up sitting on a global hit. Mumford & Sons are pleased to announce details of a UK tour this autumn, their biggest headline shows to date. The dates in October will follow a relentless touring schedule for the band, that has taken them across India, Australia, Europe and America over the past 12 months. Tickets are on pre-sale now from www.mumfordandsons.com for £18.50/£20 (London) and on general sale from Wednesday. In addition to the live dates, fans have the option to pre-order a limited EP called 'Volume 1' under the band's alter ego, The Wedding Band. 'Volume 1' was produced by Ethan Jones and Dom Monks within two days at a London studio, with some of the band's old friends. The EP comprises of songs that are regularly heard played out on the band's tour bus, but very rarely live on stage. The 10" EPs will be limited to 100 copies per show, and can only be bought via www.mumfordandsons.com in conjunction with the purchase of gig tickets. Any remaining copies of the EP not sold through the pre-sale will be made available at the venues on the night at £7 each, through Gentlemen of the Road/Chess Club Records. The EP will also be made available to fans buying tickets for the band's short run of European dates at the end of September in Paris, Amsterdam, Cologne, Berlin and Brussels. Last year’s biggest selling British solo male artist is back. Grime emcee Tinchy Stryder is set to release In My System, the first single from his forthcoming album Third Strike on August 9th 2010. 2009 saw Tinchy Stryder break out from the underground into the mainstream with the release of two number 1 singles (Number 1 and Never Leave You), and his critically acclaimed second album (Catch 22). In the same year Tinchy performed at all the major festivals of the summer, supported Akon on tour, embarked on his own 18 date sold out nationwide headline tour, developed his Star in The Hood merchandise from T-shirts sold on eBay to a fully developed clothing range, and completed a degree in Digital Arts and Moving Imagery at University of East London. 2010 to date has seen Tinchy Stryder complete a second sold out headline tour in the UK, upgrade his Glastonbury booking from the dance tent (where he played last year) to opening the Pyramid stage for the festival, expand his clothing range from online to in store (it is now stocked in over 60 stores nationwide) and start up a Joint Venture 360 music entertainment company with Jay Z (Takeover Roc Nation). All while writing and recording his third album Third Strike, due for release in November 2010. In My System, the first single to be released from Third Strike, is produced by Fraser T Smith (who worked with Tinchy on Number 1). Tinchy describes the track as “mad different”, bigger beats, heavier bass-lines but with his signature rhyming style. Chart topping artist, fashion entrepreneur, and music industry mogul – whichever hat Tinchy wears he moves from strength to strength, proving further that “British Urban music need look no longer jealously at the US” (The Times). As Glastonbury Festival celebrates its 40th Anniversary we thought we would highlight a few of the new up and coming artists appearing at the 2010 event, some of whom, like Jack Johnson and Tinchy Stryder, will also be appearing on that iconic Pyramid Stage some day soon. If you are lucky enough to be there or watching on TV check out our favourites. 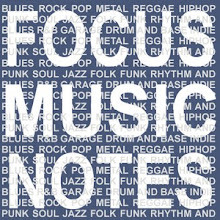 Click on the tags on the Focus Music Blog for artist biogs, news, other live gigs and new releases. The final single to be taken from the million selling album ‘Lungs’ is Florence’s personal favourite - Cosmic Love. A wildly impassioned hymn to the overwhelming supernatural power of love, the epic Cosmic Love has been a show stopping favourite at Florence’s gigs ever since it was first written. Florence was on tour in America and played to an ecstatic crowd at the Coachella Festival. She headed back to the UK in May for her sold out Cosmic Love tour as well as a Somerset House show (July 15th) and a headline slot at this years Latitude Festival (July 16th). 2010 has seen NYC based quartet The Drums go from being one of the most talked about new bands of the year to being the band most likely to make 2010 their own, with the release of their self-titled debut LP out on June 7th. Off the back of their critically acclaimed Summertime! EP - released in October 2009 on Moshi Moshi Records - The Drums took the coveted opening slot of the NME tour throughout February before being crowned winners of the "Philip Hall Radar Award" at the NME awards. Having played an intimate sold out three-date UK tour during the last week of March (where they were watched by Morrissey, Mike Joyce and Andy Rourke of The Smiths), the band has just put the finishing touches on their debut album, produced by lead singer Jonny Pierce. Joining the dots between the melodic glitter of sixties girl groups and some of Factory Records' finest, The Drums contains 10 brand new tracks with only summer hit-in-waiting Let's Go Surfing and torch-burning, heartbreaker Down By The Water coming over from the EP. New songs include the epic swoons of Me and the Moon and forthcoming single Forever and Ever Amen, Book Of Stories with its gorgeous, bittersweet chorus, "I thought my life would get easier, instead it's getting harder" and the snowstorm beauty of album closer The Future. The Drums played Friday Night with Jonathan Ross on April 23rd, supported Florence and the Machine on her May UK tour and then returned in June for two sold out headline shows @ Heaven, London, followed by their support slot with Kings of Leon at Hyde Park, London on June 30th. Island Records who celebrated their 50th Anniversary in 2009, released the definitive career retrospective of this all-time great of the UK music scene on 7th June 2010. Entitled “Revolutions – The Very Best Of Steve Winwood” it is a portrait of one of the most influential British musicians in rock history, a singer-songwriter, peerless vocalist, guitarist and keyboard player. Click here to read all about Steve Winwood "Revolutions"
Welcome to the world of Kid Adrift. The Oxytocin EP is a personal manifesto from Iain Campbell, the brains behind the Kid Adrift project. It’s passionate, intense, and is set to establish him as a rare talent in 2010. With a demo of ‘Red, Green and Blue’ being picked up on radio last year, so far it has seen plays all over Radio 1, with Zane Lowe, Huw Stephens, Fearne Cotton and Rob da Bank, as well as featuring on BBC Introducing. Ambitious and creative in equal measure, live the band is a four-piece, and sure to become an essential live band in the coming months. ‘Oxytocin’ is a guitar led, with more brutal beats and waves of dense electronic waves whilst synthesized strings and mechanical beats bring the song to a thrilling crescendo.‘Crash Therapy’ hits with a wall of electronica, heavy and propulsive. With clear nods to Warp Records, its testament to Kid Adrift that this is very much his own work, a new unique voice for music fans to discover. ‘Static’ illustrates the dance influences that infuse the band’s sound. Very atmospheric, it shines yet more light into the musical world of Kid Adrift. The forthcoming UK tour sees its finale at London’s Old Blue Last, and doubles up as the launch night of the Oxytocin EP, on 21st June. It is set to be one of the must see gigs of the summer. From Florence to Dappy, from Jay-Z to Alicia, they’re all agreed Drake is amazing and about to explode…The marquee signing to Lil Wayne’s Young Money Records, and without question the hottest, most exciting artist to explode onto the US music scene in recent memory, Drake will be playing his first ever UK headlining dates at London’s 02 Shepherd’s Bush Empire on Monday July 12th and Tuesday July 13th. The sense of anticipation for this 23 year old Canadian’s arrival in the UK is such that a second date had to be added after the original show sold out within hours of going on sale. Tickets are £25.50 in advance (plus booking fee) and are available at www.livenation.co.uk. The shows, (featuring special guests) will be the US superstar’s first headlining dates in this country and follow his recent special guest performances on Jay-Z’s June Manchester and Birmingham dates. Drake is also confirmed as special guest of Jay-Z for the Wireless festival on July 4th. The June dates precede the release on June 14th of Drake’s hugely anticipated debut album "Thank Me Later” through Young Money/Cash Money/Universal/Island Records while his future smash single “Find Your Love” will be released on July 12th. Since the release of his debut single “Best I Ever Had” which peaked at no.2 in the US charts, there was no doubting that the 24 year old Canadian native, born Aubrey Drake Graham, would become the hottest property in hip hop and that his debut album would be the most feverishly anticipated long player in years. Drake has already enjoyed Top 10 chart success in the UK as a key member of the Young Money collective whose single “Bedrock” was a huge hit in the UK just recently. You will also have heard Drake’s distinctive flow on big singles from the likes of Jay-Z, Eminem, Alicia Keys, Kanye West, Lil Wayne and Mary J Blige to name but a few. His mini album “So Far Gone” was released last year to keep his enormous fan-base happy while he to readied “Thank Me Later”. Growing up in Toronto and Memphis, Drake first entered the world of entertainment as a teenager when he starred for 8 years on the hit teen show “Degrassi: The Next Generation”. Born into a musical family, his father drummed with Jerry Lee Lewis, and his uncle is the legendary bass player Larry Graham. He released his first mixtape, “Room For Improvement”, in 2006 and his second, “Comeback Season”, followed a year later but it was the release early last year of “So Far Gone”, widely considered one of the best albums of 2009 even though it’s only a mixtape at that stage, that really catapulted Drake to the forefront of the US music scene. In addition to working on “Thank Me Later”, 2009 also saw him recovering from a painful knee injury, for which he had to undergo surgery. He made his mainstream debut performance at this year’s Grammy Awards, performing alongside hip hop heavyweights Lil Wayne and Eminem for their hit single “Forever”. Drake was proudly introduced by Lil Wayne, showing the world a sign of things to come. Bombay Bicycle Club release double A-sided single Ivy and Gold / Flaws on July 5th – the first release from their stunningly beautiful, new acoustic album also titled Flaws. Having finished recording their debut LP I Had The Blues But I Shook Them Loose in February 2009, the band went straight back into the studio (The Church, Crouch End) days after they submitted the master for I Had The Blues, and started the initial recordings for this album. Recorded in between touring over the past year and a half, a few early tracks were laid down at The Church and produced by Neill MacColl (guitarist Jamie's Dad), but the rest was recorded in singer, Jack Steadman's bedroom and produced by Jack himself. The album is characterised by a delicate, heart-swelling beauty and lightness of touch throughout. Those that had BBC pegged merely as an indie band may need to re-think. The A-side to the single Ivy & Gold (already made “Hottest Record In the World” by Zane Lowe on Radio 1) wraps Jack Steadman’s delicate and tremulous melody around skittering drum rhythms and banjo lines, whilst intricate, finger-picked guitar lines and ethereal melodies pull at the heart strings on the album’s title track and AA-side to the single, Flaws, a duet with Lucy Rose. This more stripped down, acoustic sound - though markedly different from the majority of their debut - isn't new for the band, as almost every single they’ve released since their earliest days has been accompanied by an acoustic b-side. Jack describes his Dad playing him Harry Smith's Anthology of American Folk Music for the first time as a “huge moment”. Similarly, delving into his Dad’s record collection introduced him to the likes of Neil Young, Joni Mitchell, John Martyn and Nick Drake. Having been crowned “Best New Band” at the NME awards in February, Flaws – released almost exactly a year after their debut - looks set to book end a fantastic year for BBC. BBC played Radio 1’s Big Weekend in May, this is followed by a July acoustic tour of churches and art centres and all major UK festivals throughout the summer. Superstars Robbie Williams and Gary Barlow duet on brand new single "Shame"
ROBBIE WILLIAMS releases a brand new single “Shame” on Virgin Records on October 4. The single was co-written with Gary Barlow and is a duet between the two superstars. This is the first time the two of them have ever recorded and performed a duet together and the first time they have written and recorded a song together since Robbie's departure from Take That in 1995. The single is a brand new track which will feature on the forthcoming Robbie Williams 39-song greatest hits set “In And Out Of Consciousness – The Greatest Hits 1990 - 2010”, to be released on CD and DVD on Virgin Records on October 11. The album is spread over 2 CDs and is the definitive hits collection of one of the biggest superstars to have emerged from the UK in the last 20 years. With a staggering 57 million album sales and 11 million singles sold, Robbie Williams has been breaking records over the course of his whole career. 7 No 1 UK albums meant he is easily the biggest selling solo artist in UK history, a fact reinforced by his 2010 Brit Award for Outstanding Contribution To Music. In fact, with a tally of 16, he has won more Brits than any other artist since the awards began, including ‘Angels’ being voted the best single of the last 25 years. A plethora of other record-breaking awards include a Guinness World Record for fastest ever ticket sales, coupled with the honour of playing the largest open-air concert in UK history, at Knebworth in 2003 have meant that his status as a live performer has equalled his massive achievements as a recording artist. Robbie Williams said: “It’s incredible to listen to the album and realise that it’s already been 20 years of making music and playing gigs. And the great thing about the album is that it’s not only a celebration of my past but also a bridge to the future. The fact that part of the future includes a name from my past makes it all the more poignant for me”. Robbie’s current studio album “Reality Killed The Video Star” was released in the UK in November last year and has now sold a million copies in the UK alone. The album also achieved the third highest week 1 sales of any album in the UK last year, narrowly beaten by JLS and the phenomenon that is Susan Boyle. “SHAME” IS TAKEN FROM ROBBIE’S FORTHCOMING GREATEST HITS COLLECTION “IN AND OUT OF CONSCIOUSNESS – THE GREATEST HITS 1990 -2010”, TO BE RELEASED ON CD AND DVD ON OCTOBER 11.THIS CHRONICLES A RECORD-BREAKING 20 YEAR CAREER AS ONE OF THE BIGGEST SELLING ARTISTS TO EMERGE FROM THE UK IN THAT TIME. HIS CURRENT ALBUM “REALITY KILLED THE VIDEO STAR” HAS NOW SOLD A MILLION COPIES IN THE UK. Brixton’s original folksteppers Melodica, Melody and Me Release their debut single, ‘Piece Me Back Together’ on Monday 12th July 2010 through Everybody’s Stalking To check out the beautiful new video: click here . They have done a great little cover of Paul Simon – Diamonds on the Soles of Her shoes, which you can get at www.myspace.com/mmmelodic as a free download. The new single will be available on limited edition seven-inch vinyl and download. Huw (Vocal/Guitar), Rudi (Guitar, Charango, Kora, Melodica), Emilio (Kora, Melodica, Charango), Anna (Vocals, Melodica), John (Bass) and Greta (Drums) uniquely combine their folk influences of Bert Jansch and Victor Jara with their Dub and Reggae heroes Augustus Pablo and Lee Scratch Perry and have become Britain’s go-to band for all-night skanking and festival stomping. From their first proper gig supporting Whitest Boy Alive at Hoxton Bar Grill MMM's infectious live set has been creating waves across the UK touring with the likes of Laura Marling, Johnny Flynn and Mumford and Sons. Whilst finishing university and school in London, Manchester, Brighton and Leeds they have built up large pockets of adoring fans, selling out venues in each respective city with the underage scene and student crowds eagerly adopting the band as their own. MMM have had spot plays on Radio 1, 2, BBC London and 6Music. Significant support has come from Tom Robinson who has included them several times on his weekly podcast, his 'Best of' Podcast and his 'Fresh on the Net' show. The band have been interviewed for his introducing show and after performing a live session in the 6music hub he announced they were the “Freshest most original sounding groups we have had in the studio... absolutely terrific”. Huw was also interviewed on Steve Lamaq's introducing show and he has continued to spot play Piece me back Together which was also recently played on NME radio's New Noise show. Rob da Bank hailed the band “fantastic” when he played Ode to a Mountain on his Radio 1 show and has booked them previously for Camp Bestival and Bestival which led them to playing to over 1000 fans at a rammed headline slot in the Club Dada Tent. Other festival highlights include Electric Picnic, Great Escape, Secret Garden Party and Shambala and La Nuit Blanche in Amiens, France. Whilst nurturing their live set and waiting for the perfect time to release a recorded single they have commanded an ever-growing fanbase and a genuine word-of-mouth phenomenon. (200,000 MySpace plays and over 3200+ friends already). Above the babble of hype, and the chains of forced expectation, this is a band people have fallen in love with without being told to. Steve Winwood . Island Records will release the definitive career retrospective of one of the all-time greats of the UK music scene on 7th June 2010. Entitled “Revolutions – The Very Best Of Steve Winwood” it is a portrait of one of the most influential British musicians in rock history, a singer-songwriter, peerless vocalist, guitarist and keyboard player. Macy Gray. Grammy award winning, 15 million album selling, singer-songwriter Macy Gray, one of the most unique and original artists to emerge in recent times, has her brand new single, “Lately” released on June 21st through Concord Records/Island Records. The single is taken from “The Sellout”, released the same day, the artist’s first new album in over three years.